Last week was an exciting one in the Office of Admission. 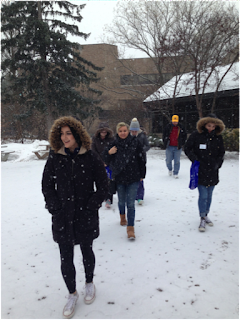 We welcomed over 450 families to our campus and were so happy to show them all Hofstra has to offer. The week started out on the chilly side with some snowfall on Presidents Day. However, a little snow didn’t stop us from having a great time! Before we broke out into tour groups, we sat down and found out what our visitors wanted see from our campus and what they were looking for in a college. Our visitors who were seniors in high school started with a student panel hosted by an admission counselor and faculty member to answer questions about student life and what it’s like to be a Hofstra student. Afterwards, they were taken on a walking tour of campus and saw all the locations spoken about on the panel. 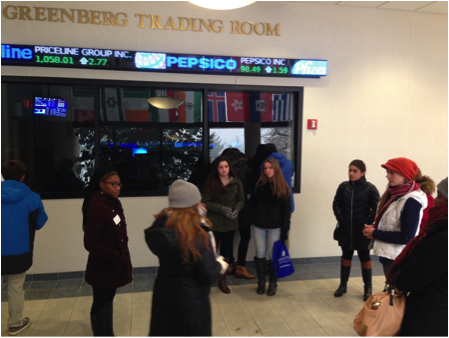 Sophomores and juniors went on tours with a Pride Guide and admission counselor to answer questions about college life and programs at Hofstra. Students were also able to hear about the application process and how a rigorous senior year will help make them stand out from other applicants! With our busiest week behind us, we are pumped and ready for all of our upcoming events!